Quote of the week: 'It's a remarkable document' | Watts Up With That? In response to your post of the monthly, “hey, it ain’t getting’ any warmer for the last 17 years and 11 months”… (see WUWT here) I thought I’d email a NOAA representative with your link and see what they had to say? To answer your question, we generally recommend that rather than looking at only one metric of how our planet’s climate is changing (in this case satellite-derived temperature of the lower troposphere) and for only a limited time period (such as starting on or just before the remarkably strong 1997-98 el Nino event), one should look at many different metrics of how our climate is changing and examine long enough time series that one can focus in on a wide variety of different time periods, including short periods. link. This remarkable document is a world wide effort of several hundred authors and experts in a wide variety of climate disciplines and I’m proud to say is led by colleagues here at NOAA’s National Climatic Data Center. Fascinating actually. He admits that it is a reasonable question to ask re: the “pause”. I’d say it’s more than “reasonable”. Also, the reference to his two links are a bit convoluted. Warmer La Nina’s? Uh, yeah….that’s because of the Pacific Decadal Oscillation which is clearly shown in it’s last warming phase (as we all know) in his .png graph. The article he linked sounds a bit like Warmer “Cold” is a sign of Global Warming. A bit like last winters extreme cold was “due to global warming”. Again….Pacific Decadal Oscillation is most likely the phase for that data as shown in the .png he provided. I’m sure he rightly believes that most of the public hasn’t looked too deep into these issues. Of course I could have asked him why gigatons of ice are being deposited in Antarctica and how the Arctic ice has strongly rebounded by 50+%, but I wasn’t looking for more “side steps” to the future. It was a pleasant exchange and leads me to believe, as we all already know. No one has a clue, but the evidence is just not there to support tax and policy decisions based on “best guess climate models”. Subject: Re: How does NOAA explain this? Again thank you for your response. From some personal research I’ve done, it seems that the Atlantic and Pacific Decadal Oscillations are both in or going into a cooling phase? If so, that heat may not continue to build up in the ocean data as we have seen in the recent past. As I’m sure you know better than most, the ocean lags regarding temperature. As such, we might see this “pause” extended. Do I know that? Of course not. But given that these cycles seem to have shown this in the past, it is likely in the future. Add this to higher than average aerosol particulate due volcanic activity and we may truly be in for a longer “pause”. 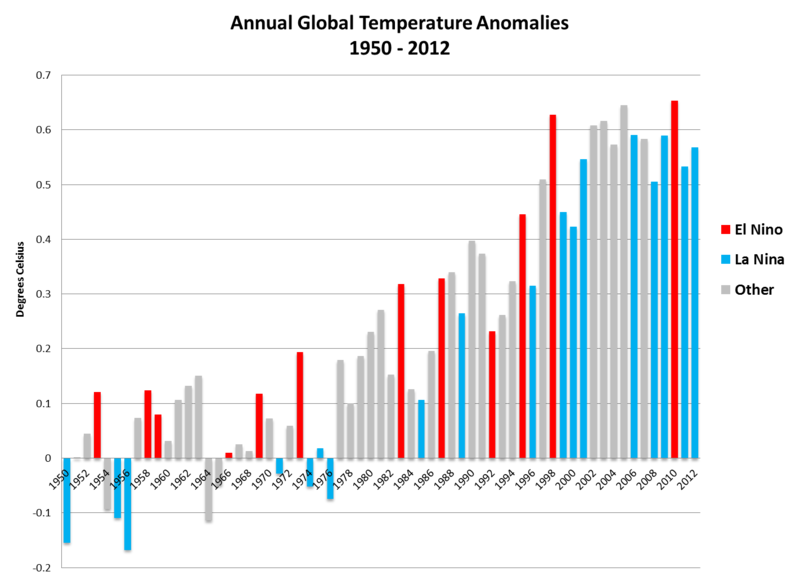 The Atlantic is now having it’s second well below seasonal named storms average. I watch the SST’s in the equatorial Atlantic (as I’m currently in Ft. Lauderdale). My personal interest in this is that I have been sailing around the world on my own boat for the last 7+ years so I watch and study climatic events closely; most especially ENSO cycles. I have come up with a rule of thumb for long distance sailors looking to stay in the Eastern South Pacific Hurricane belt over the cyclone season. It’s anecdotal. I say this despite my own backtesting the data. It seemed to be valid in the El Nino of 2009-10. I subscribe to the monthly ENSO report that NOAA publishes which is where I get my data. I’ll stop asking too many questions now as I’m sure you get a lot of emails. When el Ninos hit they release a lot of heat to the atmosphere and global temperatures are above the non el Nino and la Nina years. When la Ninas hit global temperatures are lower than other years around those times in part because increased upwelling of cold water in the eastern tropical Pacific. So for a fair comparison, it could be argued that one should really draw three trend lines: through el Nino years, la Nina years and neutral years to eliminate the impact of changing mixes of ENSO. If you do that over the last 15-20 years you will tend to see increases in temperature. But given the changing mix of el Nino and la Nina events, the surface temperature is not rising rapidly as it did in the 1980s and ’90s. So if the surface temperature and the upper air temperatures are not rising, the question could be: has the earth’s temperature stopped rising or is the heat going somewhere other than the surface. If you look at that link I provided you, you’ll see that ocean heat content (top right of page S3) has risen fairly steadily throughout this period in question. As a side bar, I thought you might enjoy the attached little paper that looks at the energy in the atmosphere. I realize you’re most likely quite busy and don’t have too much time to answer lots of questions. I will link you to the Wall St. Journal article that was also published today. A highlight of the story is the eighth paragraph (on the link above). How does this statement align with the paper you linked me too? Has NOAA revised the above statement since 2008? Is the fact that temperatures have been flat for 15-20 years (depending on the source one uses) not made the above statement carry even more weight? I’ve always considered Dr. Tom Peterson to be a cordial guy, our exchanges have always been pleasant, except when he wrote a ghost talking points memo about the surfacestations project. Climategate revealed him to be a bit of a political cartooning prankster, but then so am I. In case you don’t recognize the people being spoofed, they are top left, Dr. John Christy, Dr. Roger Pielke Senior, Dr. Pat Michaels, Dr. Richard Lindzen, bottom left: Senator Inhofe, and Dr. Fred Singer. Despite his cordial persona, I think he may harbor one of the worst cases of confirmation bias I have ever seen in a scientist. This is particularly dangerous because he is the gatekeeper for the GHCN surface temperature data set, which is used by GISS, CRU, and BEST. I believe that dataset contains the built-in bias of Dr. Peterson. By saying a document you co-authored is a “remarkable document” we can see a window into this sort of bias. September 10, 2014 in Quote of the Week. Maybe nature just has a good sense of humour. Hubris of any ilk is dammed to be funny. They defend the indefensible, they attack the impregnable, they obfuscate, manipulate and speak outright LIES whilst one irrefutable fact remains paramount; CAGW is a 100% unproven theory. Stop funding this deplorable charade NOW. A hypothesis that is not supported by observations or experimental evidence. According to the Scientific Method, such a hypothesis should be revised or discarded. I recommend the latter. A hypothesis that is this unsupported by observatiional data is nothing more than wild speculation…a mere guess (and not an educated one, either). Sorry, if you have fold, spindle, ‘homogenize’, adjust, tweak and whatever else is being done, to the data, it ceases to be observational data and becomes statistics about the data (or just plain, old fashioned male bovine droppings). As I have mentioned here before, we are supposed to be discussing science. IN science, a theory is patently NOT a hypothesis, which CAGW most definitely is. A theory in science is an explanation which accounts for and is consistent with ALL observations. CAGW is consistent with almost none. So please, do not inflate this quaint little concept with scientific theory. Instead of calling it a ‘theory’, how about if we refer to it as a ‘faith’? Why is it called the Big Bang Theory then? Starting at the paragraph beginning: “I’ve always considered …. ” It wasn’t clear whether “I” was AW or Scott. Further down it is clearly AW. Maybe an edit for clarification? Yes, yes, draw the trend line through the El Nino years. Just like they did in 1998, amirite? I mean, everyone here remembers when the 1998 figures came out, and the climate scientists were all very careful to remind everyone that it was a strong El Nino year, and admonished them that the temperature readings were therefore higher than one would imagine with respect to the nominal long-term temperature trend. Everybody remembers the climate scientists giving those caveats and admonitions, right? Right? Yeah, but back then, the steep slope up through 1998 agreed with the models. Since then, Mother Nature has refused to capitulate to the will of the alarmists. It’s a totally different situation! Yeah, sure I remember… I remember the outright panic, the fear, the hype. And some of that was mine! Luckily, it was also the reason I started checking into it and looking for the Science. And of course, I found that there is no Science. Just a bit of pseudo-scientific gobbledygook. The people in charge of GHCN-M adjusted are claude and matt. GHCN-D ( daily raw ) is also their product but they make no adjustments to it. to do with one can check for his ‘bias’. REPLY: So you say…and you are entitled to your opinion. But, the fact is though is that many publications about GHCN have Dr. Peterson as the lead author. As for GHCH-D raw, have you ever thought about the confirmation bias that went into choosing those stations, and who made the choice? Mosher’s posts are always inscrutable to me, so I ignore them. > we may truly be in for a longer “pause”. Anthony, I think Scot Stolnitz wrote that, not Tom Peterson. The awkward point here, the elephant in the room if you like, is that if you explain the pause away by citing natural variability then you must accept that the warming can explained away by exactly the mechanism. This made me spit my coffee out. His theory is that the globe is getting warmer but when it doesn’t warm, he cautions us not to use global temperature data to test his theory? This is not a scientist. he is cherry picking. if one source doesn’t give the answer you seek, use a different source. This looks like an implied criticism of those looking at the “pause”, by suggesting cherry-picking of data by choosing a start point that proves the case. People looking at the “pause” haven’t started in 1997 or 1998 and worked forwards. They’ve started from now and worked backwards, with the now changing every month as new data comes in. Hey now… we all know it’s not fair to play by the rules that they set forth. At least not when they lose under those rules. What would they do without OHC? How about ‘mantle heat contact’ (mhc)? The alarmers suffer no embarrassment whatsoever from declaring all sorts of limbo lounges where the joules go to hide out. It must be comforting to be a climate alarmist who never has to show genuine accomplishments or research results to keep getting paid. Their last great hope now lies in OA – ocean acidification. Rather than being unable to reject the null hypothesis, they assert it is true, and insist others must prove it wrong. They know that will take a decade or more, likely several decades. When I started reading the article above and came across the name ‘Tom Peterson’, my first thought was, “the Peterson of climategate infamy?”. Followed almost immediately was the memory about a rather harsh NOAA document that plagiarized Anthony Watt’s ‘preliminary report’ without attribution to Anthony nor his ‘Surface Stations Project’ mostly written by an un-identified author. An author who lacked the most basic social skills, professional courtesy or rigor to first contact Anthony professionally for Anthony’s expertise regarding the Surface Stations Project prior to Peterson distributing his disappointing excuse for a supposed ‘experts’ presentation. Trust anything Tom Peterson says? Maybe but only after I check my wallet, online accounts, pen, mechanical pencil, fingers, toes and relatives… Cordial and polite? More like oleaginous backstabbing coward. “rather than looking at only one metric sounds like “pay no attention to that man behind the curtain” to me”. Hey, That north pole image should have included Dave Suzuki in a Santa Suit, for comic relief. 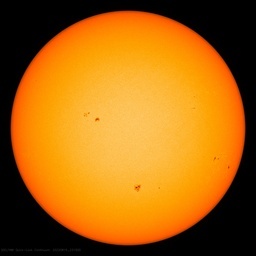 Dr Petersen sends references to Bulletin of the American Meteorological Society, State of the Climate document. The UN WMO is now referring to its GHG Bulletin in preparing for the Big Climate Shindig later this month in NYC. So it seems to me everyone, including now the UN and Dr Petersen, have now moved past the IPCC’s AR5 and relegated it to the trash heap of failed propaganda. I think Tom Peterson must be pretty sincere given his attempt to provide answers. But for some of us, It is just so hard to get worried about “Climate” when you live in a place where the temperature varies 25 C in a day, and it can snow every month of the year. In Alberta, we have had snowfall warnings for the last three days; it is snowing where I live as I write this; the Mayor of Calgary has asked people to stay home or change their working hours due to road conditions; 25,000 people are out of power. It will be back in the 20’s this weekend. It’s just weather. Somehow I have trouble worrying about a fraction of a degree globally in what remains of my lifetime. People complained about the +30 C weather this summer, they’ll complain about the -30 C weather this winter. If the winter average is 0.5 warmer and it doesn’t hit 40 below as often, no one except statisticians will notice. If the summer temperature hits 35.5 C instead of 35, again, only the statisticians and alarmist MSM will notice. 40 below or 40 above isn’t unusual; 50 below isn’t unprecedented in my lifetime. What I wish for is for better education so that children will come out of school understanding the climate history of our world. (But NOT THIS: http://www.wmo.int/youth/ It looks like Pravda. The “Manchurian Candidate” comes to mind. Maybe WUWT could ask for a link.) It seems climate history may not be taught the same way as when we older people went to school. Everyone “knew” about ice ages and warm periods, that climate changes and the earth is a viscous body; that at the microscopic level nothing is solid; that even window panes flow slowly making old glass windows thicker at the bottom. Some young children know this today as they are curious and listen to the discussions of their grandparents and they read and learn on the Internet. Tomorrow’s generation may be the smartest, most informed ever. But there seems to be a gap where busy people accept what they hear or watch on TV and radio where “Weather” seems to be interpreted as “Climate” in order to generate a sound bite. 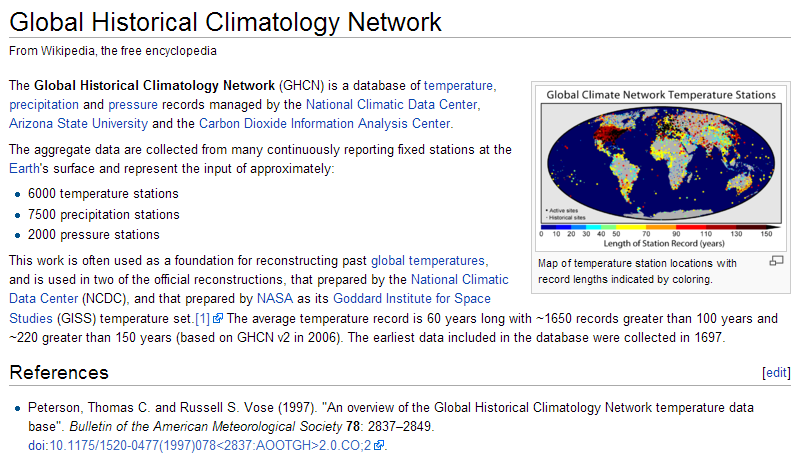 President of the World Meteorology Organization Commission for Climatology. Not a snark or anything. I suspect he is doing the best he can, but surely he must be influenced but the weather, his training and built in bias. As an arm of the UN, they seem to have developed a strategic plan that goes far beyond weather. Correct me if I am wrong, but it doesn’t look like a place I would spend much time (my own bias showing). Maybe if they moved NOAA from North Carolina to Great Falls, Montana, they would get a better appreciation of weather and climate. It is worth reading, Some good stuff, and a lot of scary stuff. https://www.wmo.int/pages/about/images/spla_table_2011.jpg Read the first column of the table. Weather and climate always changes. When will they get that. Time to get to work now that I have raised my adrenalin to dangerous levels …. Some people tell what is a lie in an attempt to deceive. Some people tell what is a lie because they honestly believe it. I know which category Gore and others like him belong in. They rest can be helped. The fact that the 1997/8 El Nino is a blip shows quite plainly that it is nothing to do with any trends and can not be linked to CO2 or anything else but this natural event. Sheesh, that climate status report from the American Meteorological society (at least the abstract) is the most blatant piece of pseudo-scientific AGW propaganda I’ve seen. It reads like a something a political party does to statistics to get re-elected. For example, “Australia, NZ and Argentina have had the highest temps on record”. A true scientist would state the lengths of the records and give indications of what is believed to have happened before the records began. Quite astonishing. i would be interested in bob tisdales input regarding tom petersons understanding of el nino/la nina . “You’ll see that ocean heat content has risen steadily..” Super. Now all you have to do is prove that it’s added CO2 by humans that is the cause. It’s happened before, so why is this different? Your exchange of emails with NOAA’s National Climatic Data Center gives me some optimism that a more meaningful dialog can occur now than was possible in the past. You set a good example for engaging in dialog with climate institutions. Tom Peterson is the person most responsible for the unjustified adjustments in the temperature records. “Most responsible” repeated for emphasis. 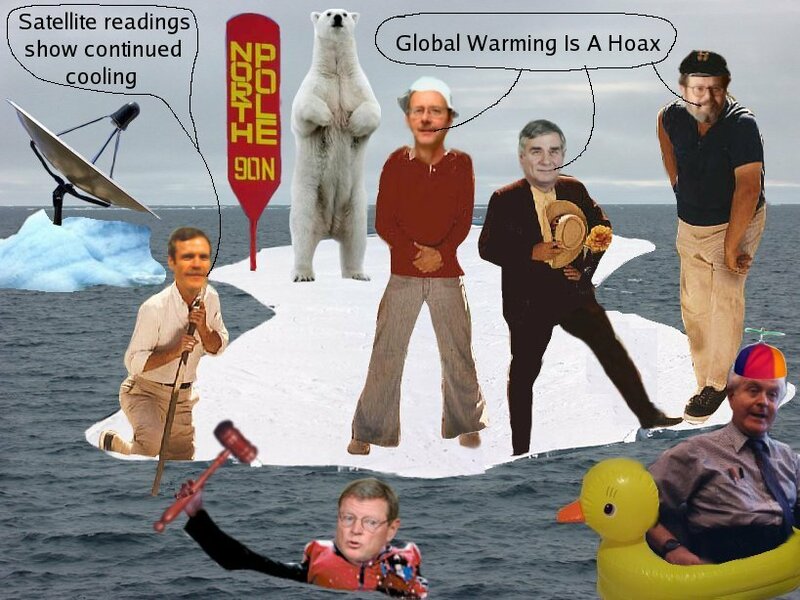 What I find remarkable about this is Peterson’s ‘moving the goal posts’ from their 2008 assessment that 15 years of no warming would invalidate the climate models and assertions of CO2 induced Anthropogenic Global Warming with 95% confidence. Six short years later, he tells us to ‘forget the empirical data duration of 15 or even 20 years…. and that mumbo jumbo about confidence intervals’ and focus NOW on lots shorter …..and lots longer intervals! The only way to put real pressure on such consensus promoters is to show that you intend to expose their subfield of science to exposure of the corruption within it, of the fraud in it, and I do not mean amateur hour print outs of raw data, which remain unadjusted despite some urban myth that they are hidden away. I mean Steig’s fake red Antarctica, Mann’s enthusiastic support of both the latest fake hockey stick by Marcott and the fake 97% consensus by Cook. You can’t effectively hammer on the so-called pause since it’s within the range of noise, and both scientists and policy makers have established psychological defense mechanisms against short period cherry picking coming from the exact same perceived Bible thumping creationist Republicans. But nobody with a moral compass, no real activist, has defense mechanisms against outright proven fraud. The key word is proven, meaning undeniable. Temperature adjustments are not a case of that, sorry. Anthony sat on his stations project so long, allowing mere anecdotal claims of incompetence to thrive using his project photographs that of coarse Peterson stepped in to put out that fire, by the honest act of using a sample population of stations to demonstrate little bad station influence after all. It doesn’t matter who is right here culturally, since Tom won that debate in public, quite fairly, because Anthony and Joanne Nova kept releasing brochures and blog posts implicating Tom in quackery minus any solid proof of overall bias. Years later, the topic was old news when Anthony finally discovered official station ratings and found done real urban bias, at least in the high growth US. Arguing the pause is arguing against authority but you have little authority to pull that off with. But exposing proven fraud is all powerful and always has been. Goddard’s mistakes and maverick raw data claims, and Tom’s scoop of Anthony mean that temperature adjustments are a dead horse. You can’t effectively hammer on the so-called pause since it’s within the range of noise, and both scientists and policy makers have established psychological defense mechanisms against short period cherry picking coming from the exact same perceived Bible thumping creationist Republicans. They waged an entire campaign based on a temperature increase within the range of noise on longer timescales, that proved to be not an unprecedented increase, leading to not an unprecedented high temperature plateau. Hammering away on the pause has proven effective and continues to be effective. We have seen alarmist “scientists” and policy makers be very adept at short period cherrypicking, especially the late 20th century warming period. Saying “scientists and policy makers” have guarded themselves against “perceived Bible thumping creationist Republicans” implies the “scientists and policy makers” are anti-Bible evolutionist Democrats. Since obviously all “scientists and policy makers” are not anti-Bible evolutionist Democrats, with “Bible thumping”, “creationist”, and “Republicans” belonging to distinct sets that may intersect together but also with other sets, reveals bias. But nobody with a moral compass, no real activist, has defense mechanisms against outright proven fraud. Tawana Brawley. Rev. Al Sharpton’s penalty for defamation, his share of the judgment against him, her, and her lawyers, was paid for “by supporters“. In March, a group of Mr. Sharpton’s supporters agreed to pay the judgment for him. The group, which was led by Percy E. Sutton, the former Manhattan borough president, included the lawyer Johnnie L. Cochran Jr. and Earl Graves Jr., the president of Black Enterprise magazine. Al has never apologized, refuses to. He now has his Keepin’ It Real daily national talk radio show and his PoliticsNation with Al Sharpton daily MSNBC political talk radio show. Power, prestige, and political positioning are effective defense mechanisms against outright proven fraud. Someone is too important to do it, people won’t believe they could do it, and if you don’t want those in charge destroying your career and personal life then you won’t mention that they did it. When was the last time someone in the media mentioned Rev. Al’s culpability and said it was time for him to come clean? Typo: done urban bias = some urban bias. “We generally recommend …”. Uh huh. You generally recommend looking at multiple metrics now, because your former practice of generally recommending that people look at one and only one metric (surface temp) and only for a limited time period (such as ending on or just before the remarkably strong 1997-98 el Nino event), has gone bust on you. Problem is, there is no point in anyone looking at many different metrics of how our climate is changing, because all that tells them is that climate is changing. Climate is always changing. Big deal. You liars pushing the “global warming” political movement claimed that the climate was changing in a very particular way – surface temps were going through the roof. That is why you called it “global warming”. And on the basis of that particular scary story, you demanded that everyone turn over their money and personal sovereignty to your left wing statist desires. Screw you. Second problem is, there is no point in anyone looking at many different metrics, because you clowns don’t have a singular criterion of interpretation for any of those many different metrics. We could look at snowfall, for example. No matter what we see when we look at snowfall, you will concoct an ad hoc fairystory that blames “global warming”. Is it snowing less? That’s because of “global warming”! 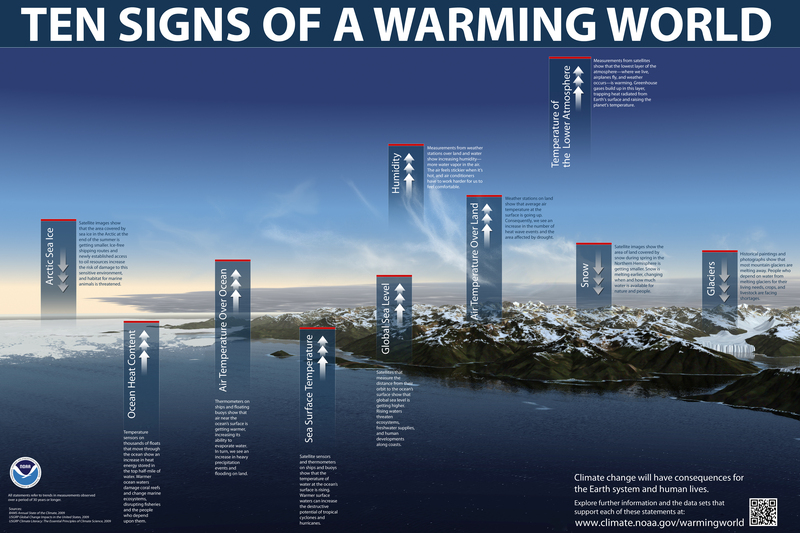 Why, a few years from now this warmer world will cause snow to be a distant memory. Is it snowing more? That’s because of “global warming”. You see, when it’s warmer it puts more moisture in the air and that makes more snow. Raining less? “Global warming”! Raining more? “Global warming”! Less sea ice? “Global warming”! More sea ice? “Global warming”! You have no coherent theory of climate. All you have are a bunch of “just so” stories that all have the same made up ending. The closest thing you had to a theory of climate was the one about unrelenting increases in surface temperature driven by growing radiation imbalance and strongly positive feedbacks. And that was wrong. Time for you clowns to admit that you are making it up as you go along, get off the public dole, and then STFU. Oh boy. I’m going to enjoy the raft of “there is early snow and frost because of global warming!! !” stories coming down the pipeline. Tom Peterson is no scientist, he is a quack. He’s so blinded by his theories of global warming he can’t see reality – there isn’t any warming. It’s a shame we have incompetent people like this running things. I do find it interesting how, whenever a skeptic uses the hiatus as a factor disproving the models (truthfully so),they are told by “scientists” that using the “STRONG EL NINO EVENT” of 1998 creates the incorrect impression of a lack of warming but if you were to then FACTOR OUT the Strong El Nino event of 1998 from the Warming Trends, the rate of warming over the latter half of the 20th century decreases in severity. If the event can’t be used to disprove the “theory” then it shouldn’t be used to prove increased rates of warming either. It sounds like NOAA is still clinging to the 97/98 El Nino temperature spike and its presumed distortion of a slope measure from an unreasonable starting point as part of its diversion from the current question and the record. Perhaps they themselves had a hand in the PR misinformation campaign that said skeptics were using that obviously wrong approach with a starting spike. I’m sure there is some debate strategy somewhere that describes the approach of painting a false premise on the opponent paired with the reasoned response to show off the righteousness of the presenter. It works best on the uneducated and the distracted society. As far as the PDO, the MEI explains perfectly the nature of the La ninas. The stupefying lack of the super nino to these people is laughable, they were exposed back in spring as I took them apart based on the cyclical nature of the Pacific.. D Aleos study on this explain why the enso events behave the way they do in the different cycles, and that they choose to ignore physical realities speaks volumes about how blind they really are. world. The carp is a fish species surrounded in myth, legend, and lore.